The Lane Cove Art Society is a not-for-profit organisation, run by volunteers, that aims to encourage, recognise and reward artistic talent and to provide a forum for people to share their interest and knowledge in art. The Lane Cove Art Society is a not-for-profit organisation, run by volunteers, that aims to encourage, recognise and reward artistic talent and to provide a forum for people to share their interest and knowledge in art. We extend a warm welcome to all those interested in art. 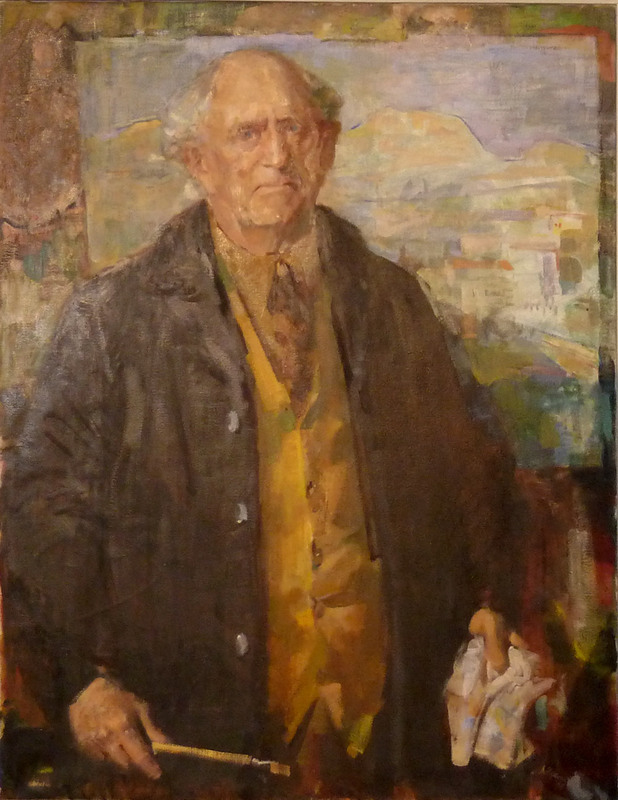 The Society’s foundation stemmed from a successful Municipal Art Exhibition in 1963, and the appointment of the Lane Cove Art Panel, consisting of four outstanding artists, namely Lloyd Rees, Guy Warren, William Pidgeon and Reinis Zusters, to foster further exhibitions. Under their guidance the Lane Cove Art Society was formed in 1965 with Lloyd Rees as founding President. The Society quickly established a reputation for excellence, attracting a wide variety of artists. It continued to flourish under Lloyd’s successor, Frances Frohlich, President 1988 to 2006, and then Pamela Fairburn, 2006 to 2008. Chrissie Lloyd took over the President's role from 2008 to 2016 and under her guardianship the Lane Cove Art Society has gone from strength to strength with a thriving membership. In 2017, Lyn Teal became the fifth President of the Art Society, succeeding Chrissie Lloyd. The 50th year of the Municipal exhibition (the Lane Cove Art Award) was held 9 – 18 August 2013, with some 400 people coming from far and wide to attend the Opening Night. Guy Warren, one of the founders, was a special guest and donated one of his works for a raffle prize. The exhibition featured 300 paintings, and the occasion was celebrated with a large birthday cake. The Annual General Meeting of the Lane Cove Art Society is held in March each year. At each AGM the financial members of the Society elect members to fill at least 7 and not more than 12 committee positions. The Society’s Committee consists of President, 2 Vice Presidents, Treasurer, Secretary, Minutes Secretary and Committee members. The Art Society’s Patron is Mr Ian Longbottom, a former Mayor of Lane Cove. The current Lane Cove Art Society Committee is listed at Contact Us.